All the Before and After photos below are of actual clients treated in our clinics in either Newcastle or Parramatta. 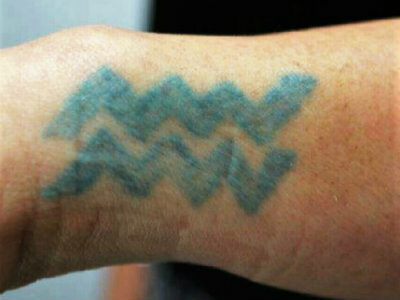 SkiiNsure Laser Clinics were one of the first clinics in Australia to purchase the new Picosure Laser and therefore have the most extensive tattoo removal experience and results. 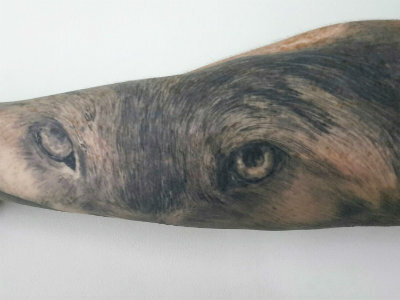 This result on an upper arm tattoo was achieved in only 6 sessions. 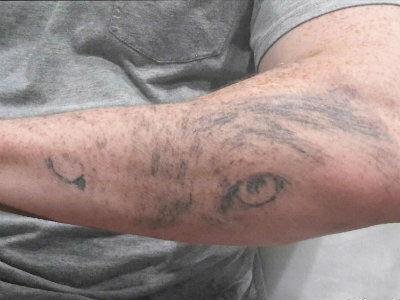 If you only ever saw the "after" picture, it would be hard to believe there was ever a tattoo there. 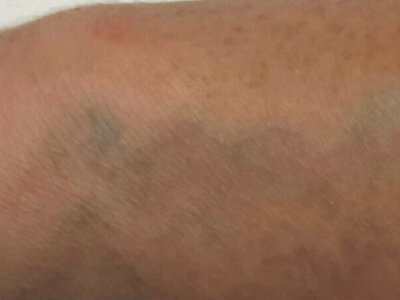 There is some very slight hypopigmentation (lightening of skin tone) where the tattoo used to be. Over time this should become imposible to detect. 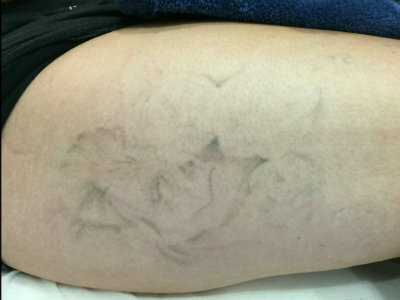 This result is after 7 sessions. There is a some in remaining which will disperse over the next 2-3 months. This client will possibly undertake one more session to achieve a really great clearance of her back tattoo. This result was achieved in only 6 sessions. The second photo is a slightly closer up shot than the first. 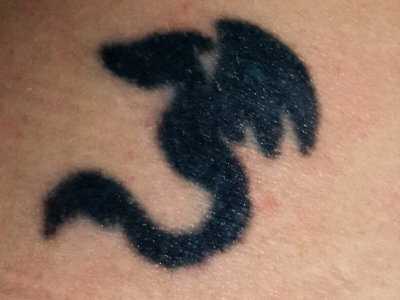 After only 3 treatments the tattoo has almost disappeared. 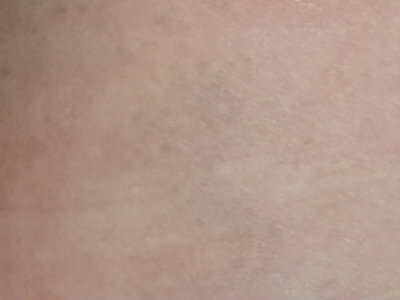 With tattoos that have mainly shading, rather than heavy lnes, very fast results can be achieved with our Picosure Laser. 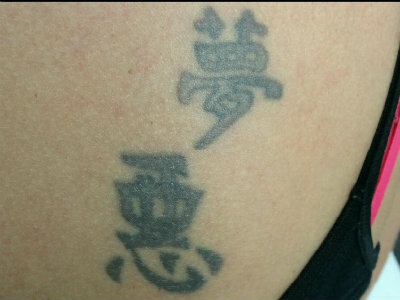 The tattoo may well be completely cleared by this client's next appointment. 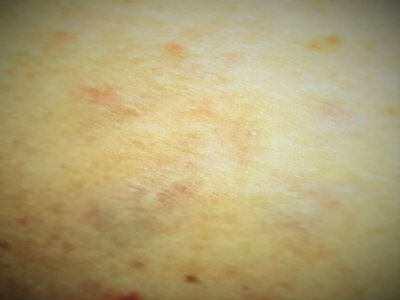 This result is after 5 treatments. Although the tattoo looks like it's mainly shading it's actually made up of closely drawn dense lines. 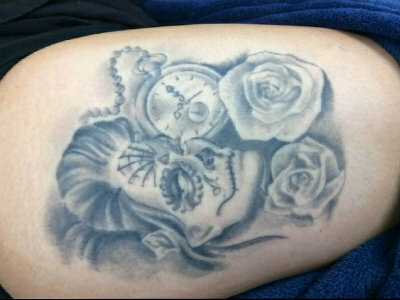 We envisage this client wll need 2 or possibly 3 more sessions on his forearm tattoo. 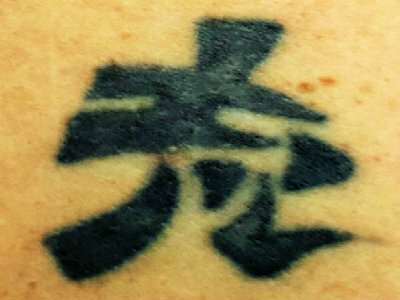 Tattoos with blue in are difficult to remove with older style lasers. The Picosure is extremely effective on blues. This is after 7 sessions. Sme ink remains however in 3 months time this may well have cleared or one final session may be required. 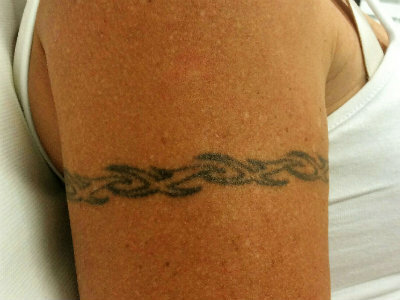 This black tattoo was quite dense, but our Pisosure Laser has removed it completely in only in 8 sessions.